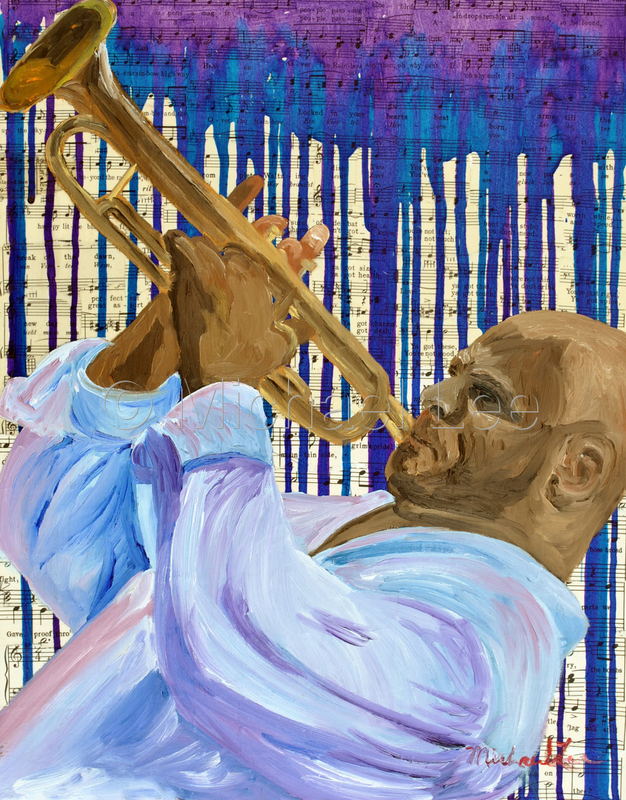 This painting is a new edition to my mixed media musician series. This painting is gallery wrapped with sheet music. you can feel the blues as the paint is dripping down the canvas. 6.375" x 5"9" x 7"11.5" x 9"14" x 11"16.625" x 13"17.5" x 13.625"